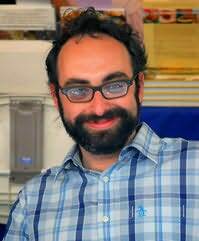 Gary Shteyngart was born in Leningrad in 1972 and came to the US seven years later. He lives in New York. "Genius. As eloquent and delirious a rant I've heard since Henry Miller." "Clever, smart and oh so terribly funny, Kept is perfect for the beach tote or for sneaking into your graduate seminar. This is a volume to treasure." "A book as delightful as it is disturbing. In a world of smug lies, Curtis writes exactly what needs to be written, and she writes it beautifully." "An essential love story for our confused and difficult times." "A sweet and savvy page-turner." "America should treasure its rare, true original voices and Mark Leyner is one of them. So treasure him already, you bastards!" "You & Me, mixed with 750ml of fine bourbon, is the most vfun you can have in many states without getting arrested." "A sweet, smart, tasty book, it hooked me from the strat and swiftly pulled me to shore." "IF YOU LIKE PUGS, WINE, AND GREECE, VINTAGE ATTRACTION IS FOR YOU. I LOVRD EVERY WORD." "This cursed Irish-American clan will grab you by the brisket and not let go. Delicious reading!" "The best novel of the year, almost any year." "John McGregor is one of the UK's most fascinating and versatile writers. The fact that most American readers have never heard of him does not speak well of us. Let's all buy his book NOW." "The funniest novel to come out of India in years, Diksha Basu's Delhi Riche is a timely snapshot of Delhi families on the way up, down and sideways." "Gabe Hudson may well be the funniest writer working today, and the most likely to break your heart." "Imraan Coovadia is one of the best novelists to come out of South Africa in a long time. His prose is charming, clever and sly. A must read." "This may well give Your Duck Is My Duck a run for its money as best title of the century. People around the world have been whispering Motoya’s name in my ear. Now she’s translated into English!"